Centers for Spiritual Living is an organization of nearly 400 spiritual communities around the globe that provide spiritual tools to transform personal lives and help make the world a better place. At Centers for Spiritual Living, our spiritual communities teach powerful principles for personal growth and global transformation, honoring all paths to God. Dr. Ernest Holmes founded the spiritual movement that started Centers for Spiritual Living. Born in 1887 on a small Maine farm, Dr. Holmes spent his teenage years outdoors, asking himself “What is God? Who am I? Why am I here?” This questioning led to his 1926 book, The Science of Mind, which outlined the foundational viewpoints of modern New Thought. Science of Mind is a compilation of the great thoughts of the ages, the deep mystical yearnings of minds in search for God, and the modern approach to a faith, which can be demonstrated. 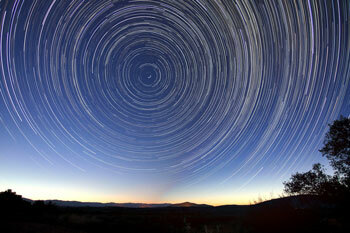 In its practice and teachings, Science of Mind endeavors to include the whole life. It is a way of life focused on joy, freedom from fear, and justified by results. Science of Mind offers the world what it has have been waiting for – a faith whereby fear and superstition have been removed and universal spiritual principles are presented in plain, simple, and direct ways so that we may each learn to live now, in the present, with the knowledge and trust that the Universe is for us and not against us. Science of Mind was founded by Dr Ernest Holmes and is part of the “New Thought” spiritual tradition, a positive, practical spirituality. Science of Mind is drawn from the revelations of both western and eastern religion, the opinions of philosophy, the laws of science, and the practices of psychology as applied to human needs and the aspirations of humanity. We understand that creation comes into being by Universal Love moving through Universal Laws. These laws are similar to natural laws and can be discovered and used by each of us. We teach that Science and Spirituality meet in the fulcrum of quantum physics and mysticism, neuroscience and spiritual psychology, astrophysics and conscious awareness. God is All There Is – All life is created with God as its source, and each being is an individualized incarnation of the One. God is Triune in Nature – God and all creation is triune (or threefold), encompassing all three aspects; Spirit, Soul (or Mind) and Body. Thoughts are Creative (Thoughts are Things) – Our words and thoughts create our experience in the same way that Source (God) creates all life. 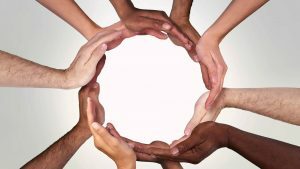 Inclusivity of God – The Universe of Oneness encompasses all that is, and we are endowed with the free will within that context to choose our own experience. Infinite Abundance – The Universe is infinite, abundant and limitless. As I am an expression of God, all Good is available to me. Forgiveness as a Principle – Forgiveness, of ourselves and others, frees us to live and spiritually flourish in the Eternal Now. Immortality is a Universal Principle – Death is a human concept. God knows only Life, and as incarnations of God, we are eternal beings. Christ Principle/Christ Consciousness – We each partake in the Christ Nature to the degree it is recognized and revealed through us. The Circle represents Infinite Spirit or the ONE. This circle contains three sections representing three aspects of the Divine Reality, or a “trinity” of Life. The top section represents Spirit, the Absolute Nature of the Divine, the impulsion of Love and the Desire to Create. It can also be understood as the Creator, or First Cause. This is the seed of thought, belief or intention. Within that Infinity is Spiritual Law. Law is accessed by each of us, first by our conscious awareness. Then, we empower some of our thoughts with feeling. Thoughts surrounded by feeling become beliefs—and our beliefs create our experience of conditions, forms, effects. The center section represents this Law of Cause and Effect (Soul), meaning the orderly process through which the Will of God (the impulsion of Love) becomes manifested or created. This is the soil into which the seed is planted. The lower section is Body, meaning the physical, created universe which is understood to be the actual manifestation (incarnation) of Spirit in Form. This is the growing plant which is the result of the seed being planted. 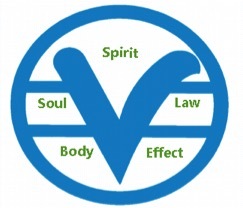 The “V” symbolizes the creative process itself, reminding us that any impulsion or cause, be it a thought, intention or belief, moves through Law and becomes part of the physical. For every form, experience or effect there is a cause whether consciously planted or not. By developing a new belief in the goodness and givingness of life, each of us can manifest a new way of being in the world: greater happiness, harmony, prosperity, anything we can imagine. Consciously using the Law of Mind toward these ends, we contribute something positive into the collective belief system of all humankind, setting an intention of a higher good for all.